Last week, I received my copy of Anzac Attack, the expansion for Lock 'n Load Publishing's Forgotten Heroes II. Since then, I've been immersing myself on a daily basis in the game, trying out various scenarios here and there. The first scenario, Amgrunts, provides the player with a large-scale battle with a really interesting historical background. Amgrunts pits the US Marines of the 1st Amtrac Battalion versus the NVA in an area of South Vietnam called Cua Viet, located just north of Hue City. The Cua Viet waterway was an important supply channel that could be used to ferry equipment and men deep into Vietnam to vital strongpoints such as Dong Ha. 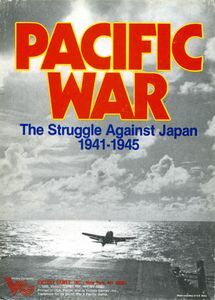 For this reason, maintaining control over the mouth of the waterway in and near Cua Viet was essential for the Marines. In 1967, the 1st Amtrac Battalion, was tasked with building defenses and constructing operating bases in the area in and around Cua Viet, As things started to heat up, however, elements of the battalion were removed from these duties and assigned a dedicated infantry role to help defend the area from NVA incursions. Despite this unexpected shift in roles, the 'Amgrunts' fought with distinction in Vietnam and won four commendations by the end of the war. 40 years later, the term "Amgrunts" would be revived when 1st Marine Division's 3rd Assault Amphibious Battalion began operating as infantry around AO Bagdadhi in Iraq. One thing I should note about this scenario is that 3 "normal" Amtracs are used while the fourth Amtrac has a 106mm weapon mounted on it. This threw me for a loop as I kept looking for the LVTP5 counter with the HE values when actually, you're just supposed to plop the 106mm counter on top of one of your LVTP5 counters and there you go! From what I've been able to glean online, the 106mm weapon has an HE value of 5. To Hit numbers are on the back of the counter. The LVTP5 Amtracs were used by the Marines for troop transport (with Marines riding on top) and fire support (with the 106mm cannon sandbagged and chained to the vehicle). Apparently, they were favored over the Ontos, which were considered vulnerable to mines (and thus mostly assigned to secure static positions). Being used extensively for such dangerous missions had a price, however, and by the end of the Vietnam conflict, around 300 LVTP-5s were destroyed or damaged beyond repair. This particular scenario takes place on January 20, 1968, which marks the point around which the NVA became more active in the Quang Tri area. 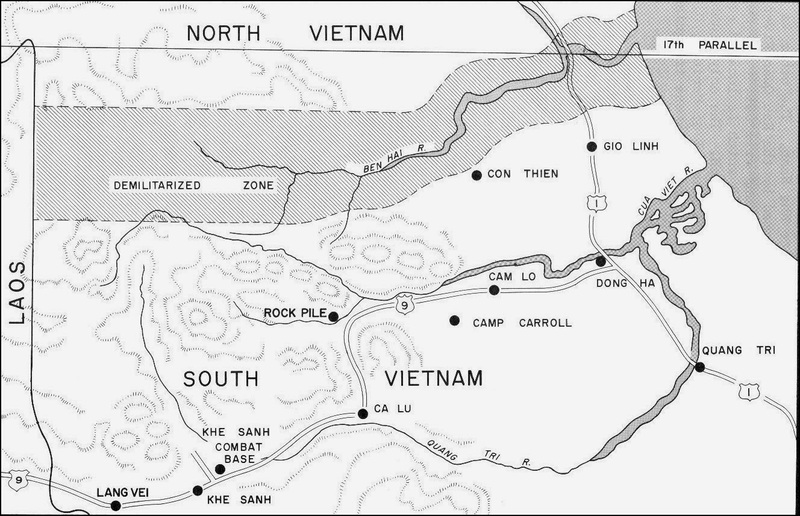 If the NVA could contest the area and cut off or reduce the flow of supplies along the Cua Viet Waterway to Dong Ha, this would jeopardize the resupply of several Marine bases (Cam Lo, Camp Carroll, the Rockpile, and Ca Lu) inland that were isolated in the jungle and operating far from other friendly units. Quang Tri area with Cua Viet east of Dong Ha. Several isolated US Marine bases in the Quang Tri area are shown. On January 19th, Marines from C Company, 3rd Battalion, ran into NVA positions, leading to a major engagement that lasted almost the entire day. The scenario recounts events of the next day. On the morning of the 20th, the NVA were desperate to pick another fight. They fired on several patrol and naval craft along the waterway. Elements of the 2nd ARVN Regiment and 1st Amtrac Battalion went on patrol and ran into an entire NVA battalion. The NVA came to the fight prepared and called about 50 rounds of 130mm artillery fire on the ARVN and Marines. The Amtracs suffered damage during the battle, with one of them getting hit 3 times by RPGs. By the time the NVA had withdrawn from the fight, the Marines had suffered 13 KIA and 48 WIA. This is a large 4 map scenario that runs for twelve turns. There are no events or special scenario rules. 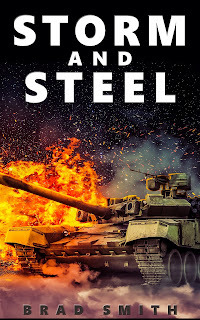 It is a straight-up knock-down fight between two large forces. The NVA start off on map 9 and 1 while the ARVN forces start up on map 9 and the Marines enter from the south of the board. Right away, the Marines have a decision to make. Do they let the ARVN fend for themselves while taking on the large force on map 1 or do they rush over to map 9 and end up fighting in the very heavy jungles (where the Amtrac fire support is of limited help). I tried the former option on my first play and ended up with the ARVN getting wiped out fairly quickly. With no one left on map 9 to fight, the NVA turned the rest of its entire force on my Marines and hurt them very badly by the scenario's end. Esthes, Kenneth (2000). Marines Under Armor, Annapolis: US Naval Institute Press. Nusbaumer, Stewart (2008). 'The Amgrunts', Leatherneck Magazine, March, vol 91, no. 3. Shulimson et al (1997). US Marines in Vietnam - The Defining Year 1968, History and Museums Division Headquarters, USMC. Thompson, P.L. (1968). 'Amgrunts', Leatherneck Magazine, June, vol 51, no. 6. Thanks for that history. Sounds like a large scenario. No action shots? Thanks Jason! I'll be doing a playthrough of this one next and posting about it soon. Thanks! I'm actually going through the setup of my play through right now. This is going to be epic!